Did you know that the Bible is restricted or banned in 50 countries? We are blessed in America to have so many Bibles available to us. However, having the Bible available and agreeing on how to interpret it are two different things. There are basically two ways to read and interpret Scripture. We can read it in the way that it says it is to be read—that it is God’s Word. 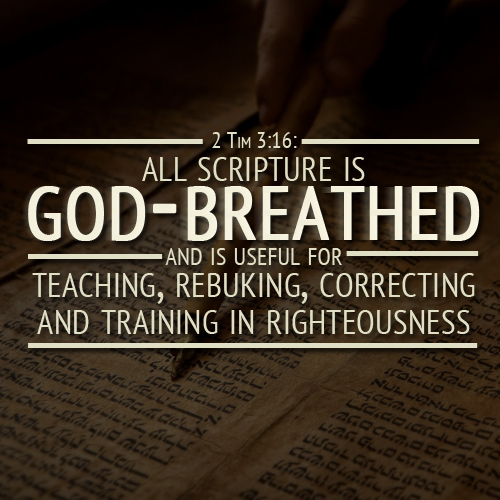 “All Scripture is given by inspiration of God,…” (2 Timothy 3:16). This is the way that Jesus read and interpreted the Bible: “For verily I say unto you, Till heaven and earth pass, one jot or one tittle shall in no wise pass from the law, till all be fulfilled” (Matthew 5:18). “The Scripture cannot be broken” (John 10:35). He believed the stories and people of the Old Testament were historically real and accurate. Also, as the Son of God and member of the Trinity Jesus is the final arbiter and interpreter of the Old Testament. We see this in his approach to interpreting the Ten Commandments and in his declaring all foods clean. Or we can read the Bible in another way–that it is just like any other book ever written. This method is called the historical-critical method and it sets up man as the judge over the Bible, even as judge over Jesus and his words. In reading the Bible this way a person can choose for himself or herself what parts are meant only for the time in which it was written as compared to what can be applied today. This is the basic division in how to read and interpret the Bible. These two ways of reading the Bible have caused a huge split in churches and societies in today’s world. For example, we see this in the current understanding of marriage. One side claims Biblical marriage is defined as between one man and one woman for life. This was affirmed by Jesus in Matthew 19:4-6, and in Mark 10:6-9. I believe Jesus is the final word on this. Those who read the Bible from the historical-critical method say that marriage is evolving and we can define it differently today. But it all comes down to what you think of the Bible: God’s Word or just another book? May God bless you as you read and apply God’s Holy Word in your life! Previous Are You a True Christian or Not? Next What’s God Will for Me?